Hi guys! I've been a bit swamped with life things lately, but I'm back now and I'll be making a conscious effort to stick to my resolution to blog on a more consistent basis. A couple of weeks ago I had my very first migraine. I'm not sure if that's some kind of right of passage, but it was absolutely horrible, to the point where it landed me in the hospital and I ended up having a lumbar puncture (spinal tap) to check that there was no blood in my spinal fluid and I wasn't going to have a brain aneurysm (I'm not). The doctors didn't find anything, so I visited the optometrist and ta da, new glasses! 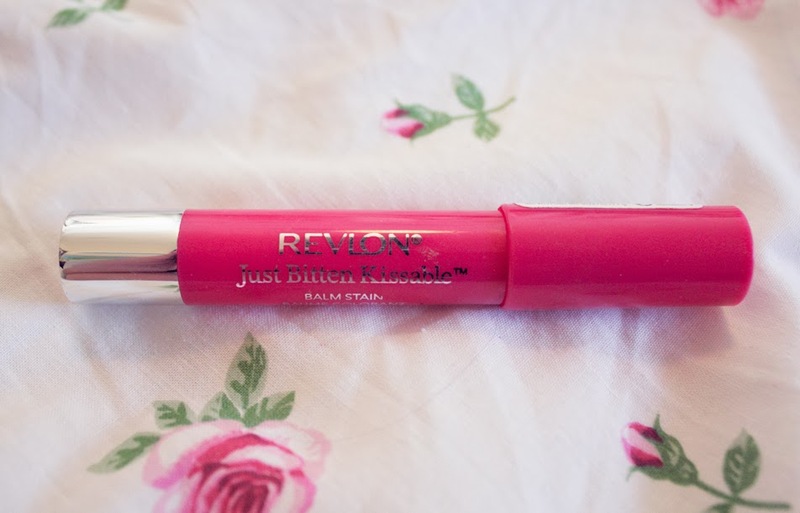 I bought this on a whim a few months ago in a half price sale on Revlon products as an alternative to the ridiculous amount of traditional lipsticks I have. This is the first lip stain I've ever tried, and I really really like it! 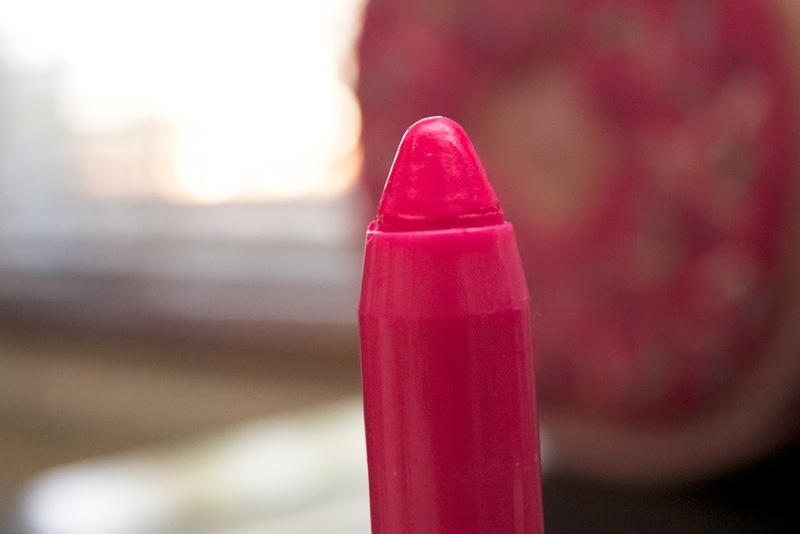 The crayon shaped tip makes it super easy for clumsy hands like mine to apply, and instead of sharpening you just wind the base and more product pops up. After purchasing the product I went home and read a few reviews, and a lot of them said that they needed to apply a number of coats before they got an intense colour pay off, but I definitely don't think that's necessary for this colour (though it may be for lighter shades), I only ever apply one quick coat and find it's very effective. I think one of the things I love most about this product is how I can just put it on and forget about it. It stains excellently, and lasts all day on me without reapplication. The product also smells like peppermint, and I'm a sucker for anything minty! I've had a migraine this month that lasted for 2 days, I was getting paranoid, thinking it was some sort of aneurism too, it just felt like my head was exploding... or imploding! Every step I took, every sound, every ray of light triggered a nuclear bomb inside my head... Apparently, it was just lack of sleep and too many hours on the computer, and also anxiety.